Feedback from our clients is always accepted as a way for us to evaluate how we are doing. Please take the time to leave us a review or even refer a friend if you are happy with our services! "Friendly staff. Great care for our cat. Follow up text with picture after surgery was fantastic. Follow up call after being home was very thoughtful. Appreciated the genuine care for our family's cat. Will continue to come here in the future." "Being a 1st time pig owner leaves you with a lot of questions. Unlike a dog, there's very few people that offer you advice. I came in with a lot questions & concerns & each & every one of them was addressed. I couldn't have asked for better vet!" "I found your staff friendly and helpful. The vet, she was amazing with Winston :) even doing the examination on the floor to make him feel more comfortable. I am very glad we took advisement and decided to drive out to you!" "Since my first visit six years ago, I have been entirely satisfied with any appointments and have full confidence in Bob and Kadri who have attended to my dogs. I have recommended friends as clients and know they also are extremely satisfied." 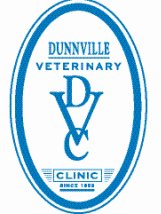 "I was very impressed with Dunnville Veterinary Clinic from my first phone contact with them. They are professional and caring and upon visiting the clinic I found it to be spacious and clean." "We have been coming here since 2002 Great staff always..Dr.Bob saved our Bruno, he is amazing!. Bruno and Louie have always had great care here. Don't retire Bob, we'll be back with another pair of rotties:)"